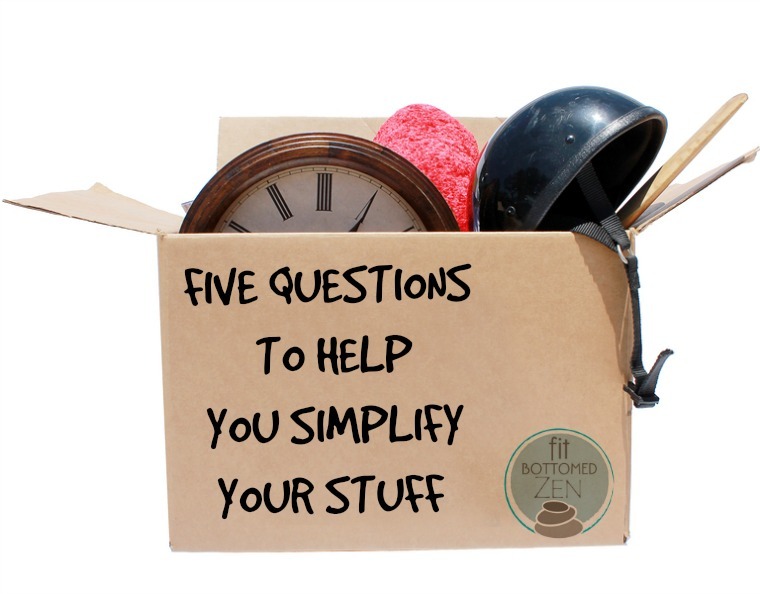 Are you intrigued by the idea of simple living where you only keep things that add value or bring joy? But then you look around your home and feel inundated by all the stuff — toys with missing pieces, knickknacks that make no sense, unworn clothes and more. You want to clear it out, but feel overwhelmed on where to begin. If you have an entire day to devote to decluttering, amazing! You will feel lighter and free after it’s all done. But if you’re like the rest of us, and can only give a bit of time, don’t worry! As long as you make the effort regularly, you will feel the effects from your clearing out while implementing a new routine that supports simple living. Basically, you’ll want to tackle each room on its own. Go through everything that feels extraneous and unnecessary. Pick up each item then ask yourself the following questions to determine what’s worth keeping, and what’s got to go. 2. When Will You Use It Again? If you can’t remember the last time you used something and don’t plan on using it again, clear it out. Going back to the kitchen junk drawer, there may be emergency items in there like a flashlight and batteries, but you will use these things again if the power goes out. Now would be a good time to place these items somewhere else (you could create an emergency cabinet) along with the other things that fall into this category. Things like random receipts, notes and menus can be thrown away if you won’t need them anymore. If you don’t know what to do with an item, read on for the next question. 3. Why Are You Keeping It? Does the old key chain have a photo of your grandfather when he served in the war? Was the paper weight made by your child? Sentimental items are the toughest to clear out. But the truth is, stuffing these things inside the kitchen junk drawer pays no homage to the item nor its heritage AND it’s creating clutter. Be honest with yourself about why you’re holding onto it. If there’s no good reason, then let it go. If you’re still stuck on what to do, go to the next question. 4. What Would Happen if You Got Rid of It? Would your child cry if you threw away her paper weight, or would she not even notice? Would you cry? Think hard about the consequences of keeping the items and clearing them out. If there’s a substantial reason for holding onto something, then bring it back, but put it somewhere that makes you happy. Put the paper weight on your desk. Add the key chain to the one in your purse. Get value from these things. And if you’re still uncertain, read on! 5. Do You Really Need to Keep It? Now it’s time to go with your gut. If you’ve gone through the line of questions and still don’t know what to do, listen to the response that comes from your body. When you hold the paper weight in your hand, and ask if you should keep it, what type of sensation do you feel in your stomach? A clenching knot? Or do you get a sense of expansion? This is your body talking, and understanding what it means will guide you to the best solution. Now that you know which questions to ask, you’re ready to start. Simply pick an area in your house, pull out an item, and figure out if it’s something worth keeping, or it’s time to let it go.